Palmerbet Racing Team is saddling up for a big day’s racing at Caulfield. 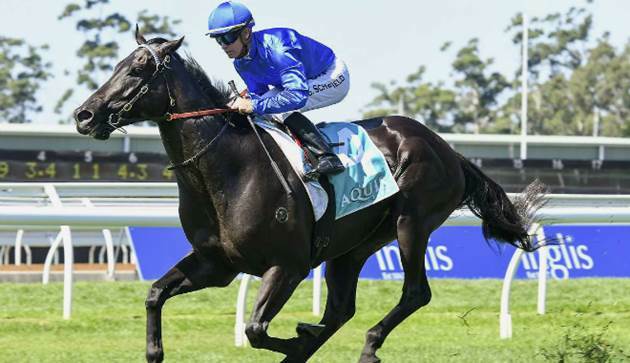 Read on to see our horse racing tips and analysis for the Group 1 C.F. Orr Stakes. Good luck, punters! Genuine star sprinter who is better 2nd up than when resuming. Which is just as well as he was plain when 9th when returning at the Valley in this grade behind Whispering Brook. Has since had a change of trainer too. On his day he can muster late and come home very hard. Drawn well enough and could be the surprise packet. Enigmatic. Can beat them all when he’s on song, but when he is not, he is very plain. Last start resumed from a spell in this grade and when he got to the outside he made steady ground late for 5th. Will need to drop back early and big field is a concern. He looks the speed although he will have to work hard to cross from this gate. Seems back to his best with past 3 runs this time up all being at this level and placing each time. The worry is the journey. He’s never won at this trip and is vulnerable last 150m. Would need to have a very cozy run in front to rate a chance. It’s probably a little harsh to say that a Group 1 winner of $1.8million is a bit of a disappointment but that’s how punters see him. Yes, he’s very smart but he’s won just 4 of 17 and been favourite on 14 occasions. He’s never won at this track either. But…saying all that, he is being trained to be a sprinter only this time up, is drawn perfectly, so he might just finally live up to his promise. Star sprinter from the west on debut in Melbourne. And he’s a chance here. He has dynamite stats when fresh and resumes in this. Will be back worse than mid-field but can rocket home. No stranger to Gr 1 level either placing in WA Gr 1 races at his past 2 starts. Have in your numbers. Star galloper who has form at this level and does know how to hit the line. What normally is a blessing might be a hurdle here, however. He likes to get back and run on but this rails draw means he could very well be cluttered up behind the hot tempo and the big field may not allow him galloping room. Is very capable if he does get out. What do we make of this bloke? He continues to race on pace and well every time irresective of how strong the opposition is. Ran a great 3rd this grade when resuming behind Whispering Brook and beating Brave Smash, Redkirk Warrior and Fifty Stars home. Has since had a change of stable. Did win 2nd up last campaign and must be respected. Last start before a spell he rocketed home from mid-field to win the Gr 1 level 1600m Cantala Stakes. Has won at this trip and has won first up. Is he the real deal at this level this journey? We will see here but know this – he is very smart and can run on. Trip may be a tad short. Has a 1200m win to his name from the 14 wins he’s carved out. Last campaign was his best winning his last 3 races over middle distance trips. And he won them easily. Hasn’t had a go at this grade yet and this may prove too hard but is talented enough to be running on. Going well this time up. Won 2 starts back at this track in 1700m stakes race but this is a long way up in grade. Normally likes to drop out but last start over 1600m was on pace till near home. This does look a it rich though. Will be big odds but is a bit of a knock out horse. Resumed this grade and from wide gate drove forward and sat outside lead while fresh before weakening to 7th behind Whispering Brook. Better suited this journey and he should get the run of the race from this alley. Only a restricted class galloper at present but this could be his breakthrough campaign. Middle distance galloper with talent but this is sharp field and he is first up. Probably gets too far back early and the strength of this race will stop him. Hasn’t won for a good while and all his races have been in weaker events. No. Is talented and could be the dark horse. Is still learning his craft but was resuming last start in this grade when hitting line strongly for 6th behind Whispering Brook. Beaten 3 lengths but is better suited this trip and is now fitter. In new stable too which often turns horses on. Terrific mare. She is a Gr 1 winner. Likes to get back and run home hard late. Has form against this level and trip is not a concern. Has won first up in the past and resumes here too. Keep very safe. Star mare in career best form winning 4 of past 5 starts and the loss was at Gr 1 level. Has won this trip. Last start had perfect run just behind pace before unleashing late to win showing fight and determination against many of these. Drawn to be on the speed just behind it again and must be considered. Has also had a change of stables this week.